The DOT and DoD use the Bureau of Explosives (BOE) impact machine to determine whether a material is too sensitive for transport by conducting a 10-trial screen test. This test is presented as a means used to obtain initial impact data for a manufacturing classification. However, a more thorough test using additional drop heights may be performed as needed in order to conduct a hazards analysis. Want to learn more? 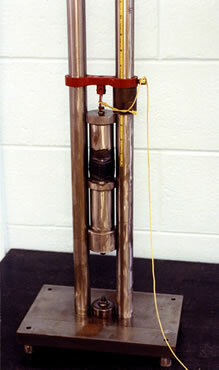 Download the BOE Impact Test Apparatus brochure and contact us today.